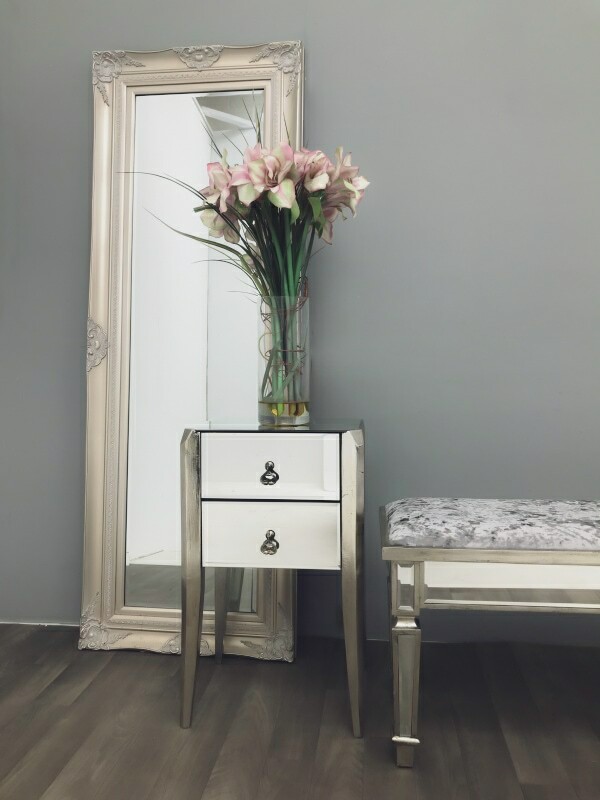 Glam and chic mirrored furniture sets are now on sale giving shoppers the opportunity to save money. Interiors InVogue is currently slashing their prices for all most popular mirrored furniture sets and decoration pieces. There is more than 200 items currently on sale, but hurry because it will only run till the end of this week. 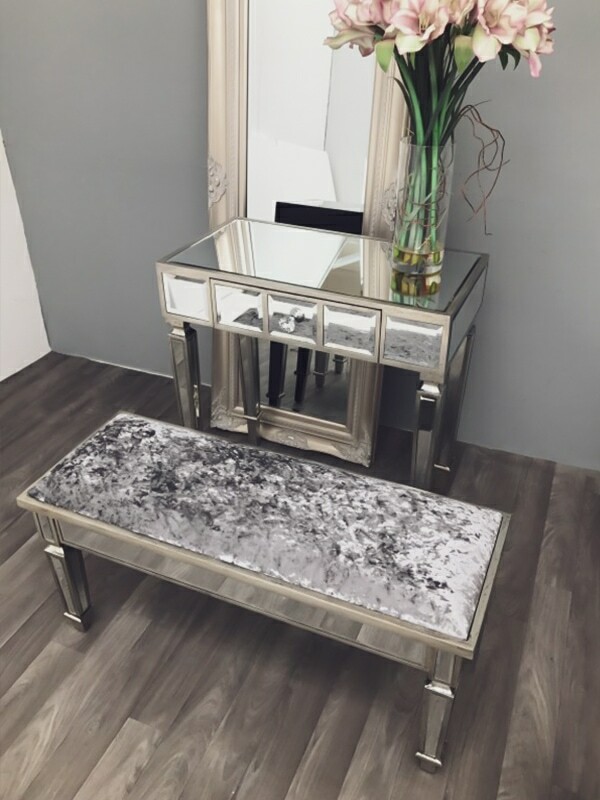 Mirrored tv units and glass dressing tables are going fast among many others, so if you’re looking to redecorate your living room or bedroom with some style, now is the best time to buy mirrored furniture before the promotion expires. Promotion includes plenty of chic items from cheval antique mirrors – we’re loving the silver mirror with bevelled mirror panels set in a silver wood frame (30% OFF) through mirrored cupboards like this fantastic piece with dark teak effect wooden sides/top and mirrored cupboard door and draw with bevelled mirror geometric panels (60% OFF). 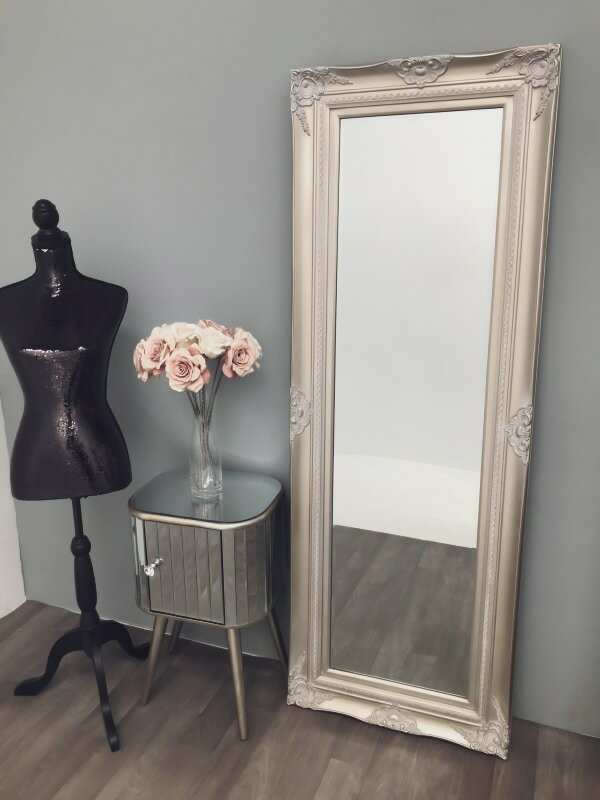 If you are wondering how you can get your hands on any of the mirrored furniture on sale now then head for our online shop and browse through our SALE section. 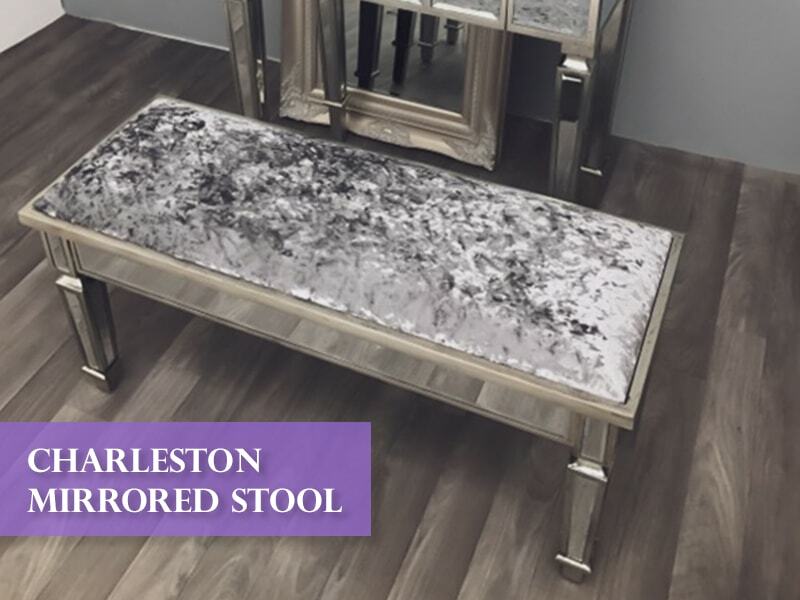 Beautiful duet stool with an antiqued silver finish. It includes bevelled mirror panels upholstered with crushed silver velvet. Mid Century style mirrored bedside table stands on four tapered legs and includes a cupboard. The 3cm thick glass top is complimented with bevelled mirror strips to the front and sides as well as a diamante handle on the door. Mirrored bedside chest with two drawers in the art deco style. It has wooden legs, mirrored panels and drawer fronts are bevelled.